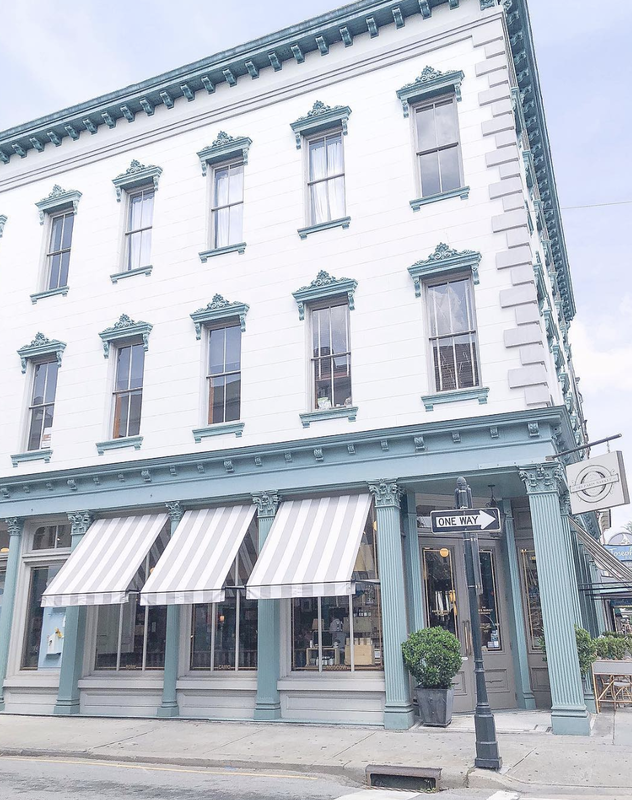 The design district is a series of boutiques and antique shops that are a great designer resource. There are antiques, art, bath, bed, furniture, garden, gifts, interiors, kitchen, lighting and more. 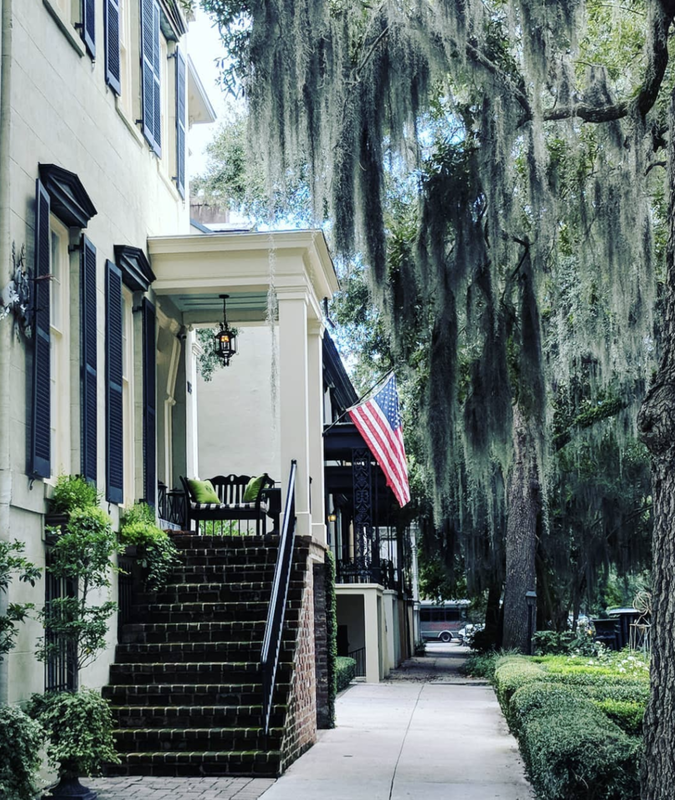 This is just a brief list of shops to visit and a group of a growing design scene in Savannah. I will have to come back. 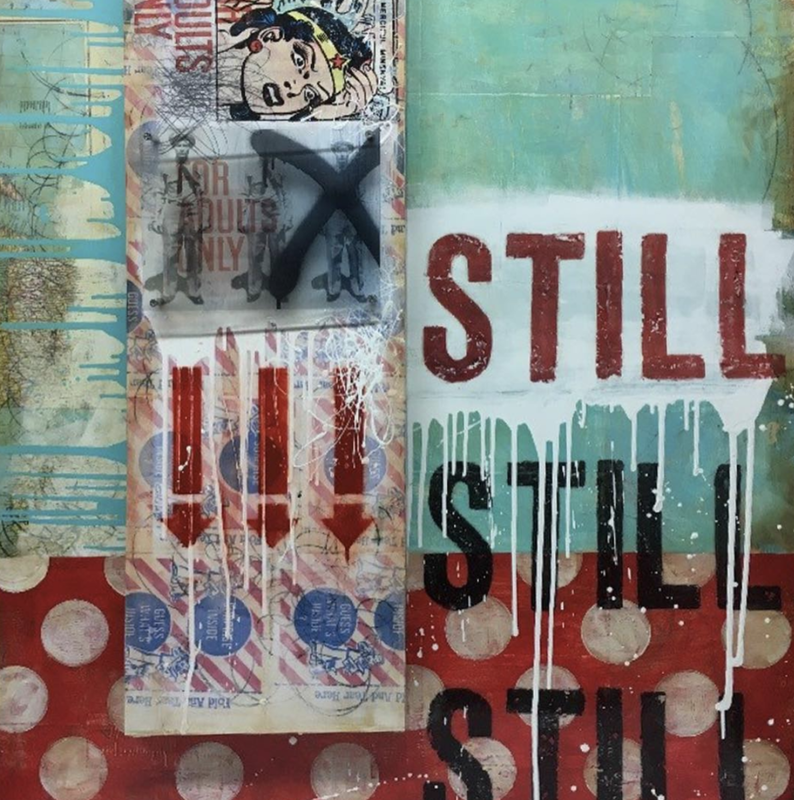 The Savannah College of Art and Design (SCAD) has a beautiful and unique gallery store that exclusively features the artwork and designs of students, faculty, staff and alumni. They have rare collections of handmade wares and artistic creations that range from jewelry, paintings, handmade books, pins, handbags, shirts, pottery and seasonal decor. 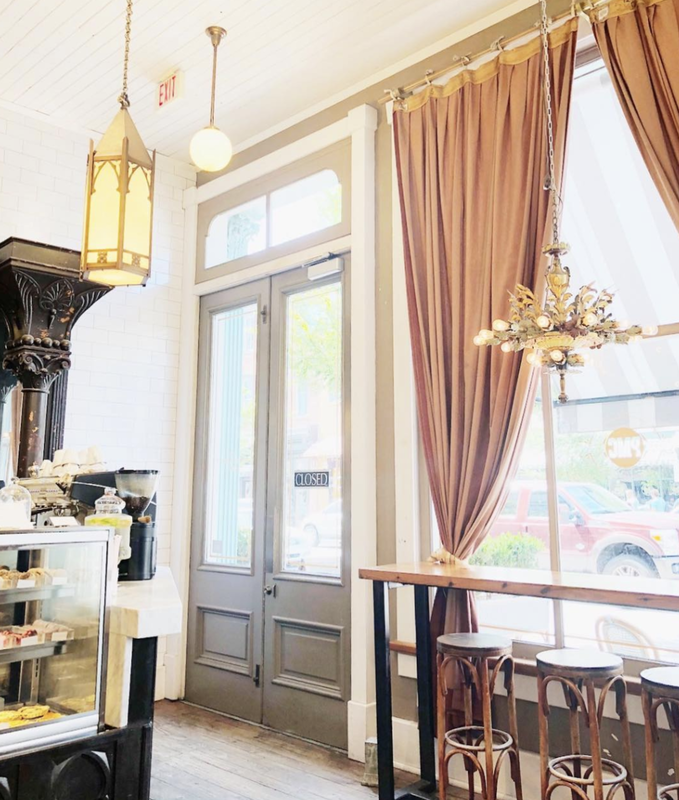 The store is located across the street from the Gryphon Tea Room and is an inspiration to visit. Located in a row of shops on Whitaker) One Fish, Two Fish is a fun and inspiring shop to visit. Filled with fanciful and unique home decor, office, lighting, jewelry and furniture as well as stationery. Located in the old Central of Georgia Railway passenger shed, this showcases the city’s history from its founding to present day. There are a couple of nice exhibits on Georgia’s history and a video that is interesting to learn about the founding of Savannah. Its also home to the famous Forrest Gump bench and Johnny Mercer’s Oscars. At the center of the book Midnight in the Garden and Good and Evil is the Mercer Williams House. 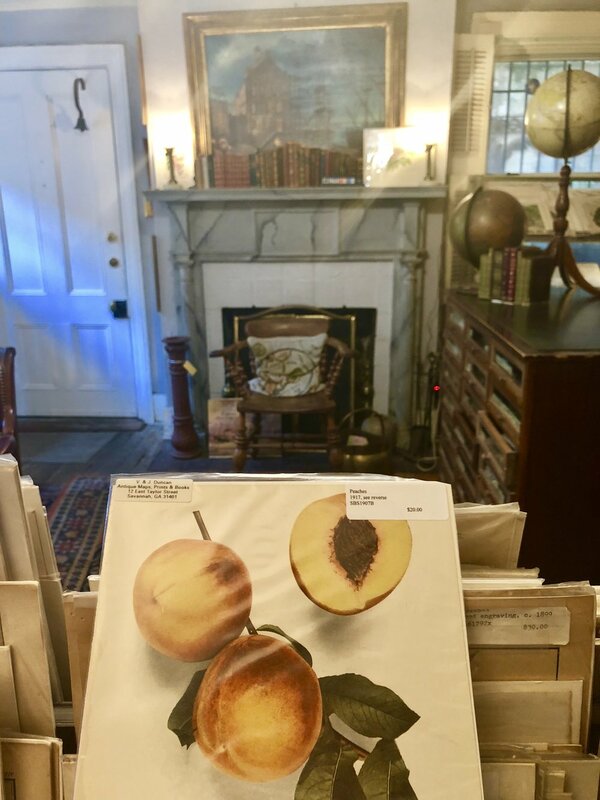 Recently opened to the public for tours and a great shop in the carriage house, this historic home was a popular and classy place for the late Jim Williams’ exclusive parties. 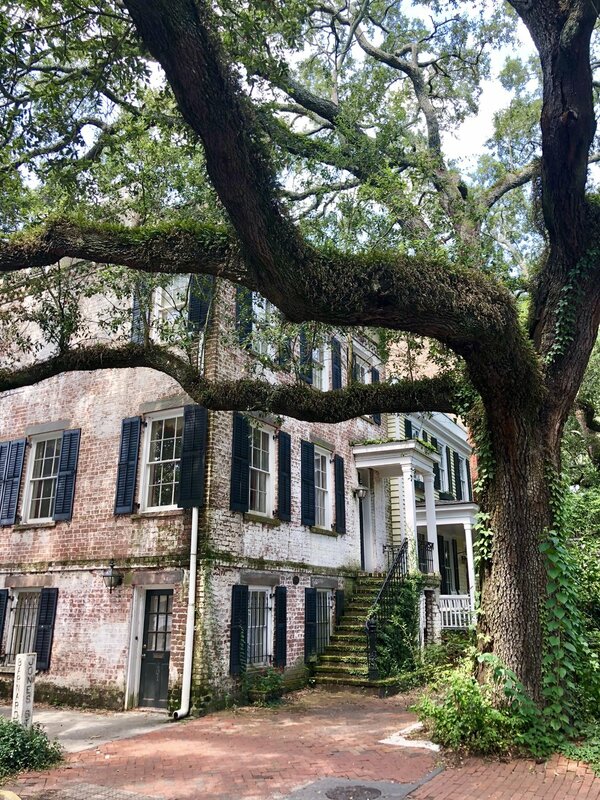 It was designed by New York architect John S. Norris for General Hugh W. Mercer, great-grandfather of the famous Savannah composer Johnny Mercer. 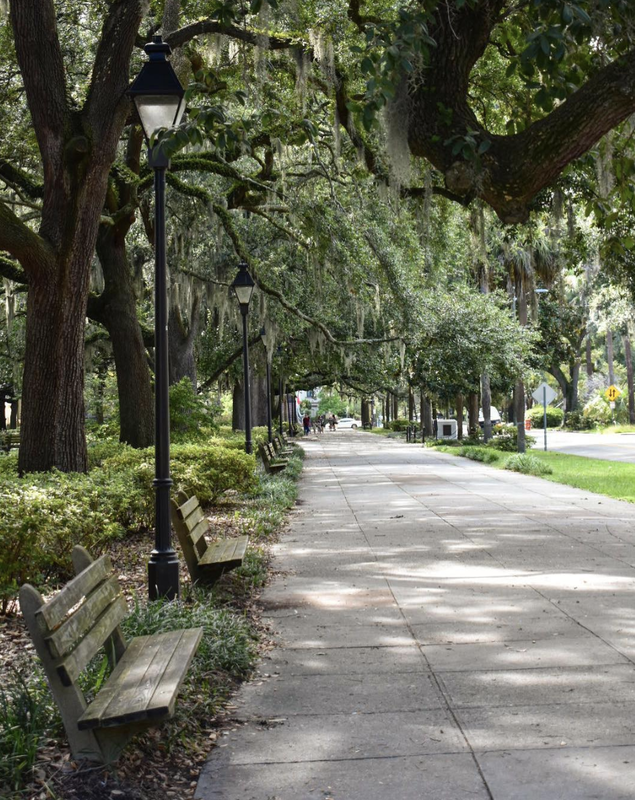 Forsyth Park is the large city park in downtown Savannah that occupies 30 acres. The highlight of the park is the gorgeous park fountain that is perfectly surrounded by the large oak trees and Spanish moss. Before we drove to Savannah, I learned that Savannah has 22 squares and the community loves them! 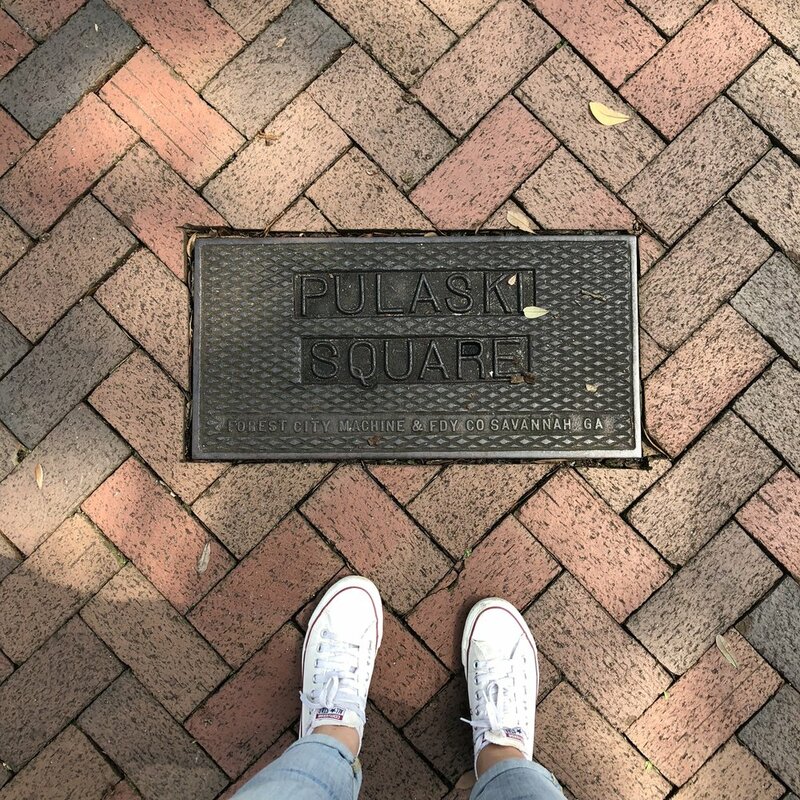 I was in search of Pulaski square and totally loved walking through it. To learn more about Savannah's squares, go here. Unfortunately, we didn't have a lot of time in Savannah. This only means we will be back very soon to continue exploring! Until next time, what are your favorite spots in this city?